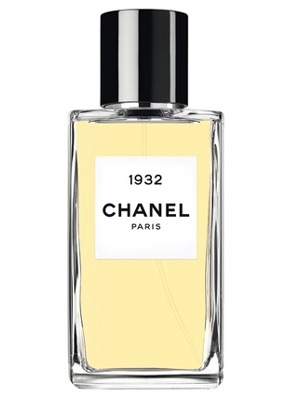 Diamonds and Rhinestones… 1932 by Chanel… A Transatlantic Easter Guest Review (Part II) | The Perfumed Dandy. The rest of the world is broke and going to hell but here in this town, well baby we’re in the money. From all over the country they come every day, young hopeful ex-homecoming rodeo queens and the not so young but just as hopeful. From the dust bowl and impossible impoverishment, from Mobile and Milwaukee and points further east they blow into town with cardboard suitcases filled with celluloid dreams. On that first walk down the Boulevard they wear a smile they can’t hide and stick out to the initiated as fresh meat for the glamour grinder. The Mecca of the movies calls to them in the form of Grauman’s Chinese Theater. They always end up there that first day to kneel and press there hands into the cement prints of someone who had all the right breaks. This is where the prayers begin. Welcome to Hollywoodland. At Warner Brothers someone new to town with soon to be gone platinum hair and eyes one could sing about is carving her place in the system. She is all seriousness as she stands on the porch of a cabin in the cotton conferring with the director. She would love to kiss you but Miss Bette Davis has just washed her hair. At Paramount a blonde Venus is surrounded by as much smoke and mirrors as she is by hair and makeup people. Waiting to board the Shanghai Express she knows already from somewhere in her gut and the slight change of temperature on her face that the lighting is not quite right. 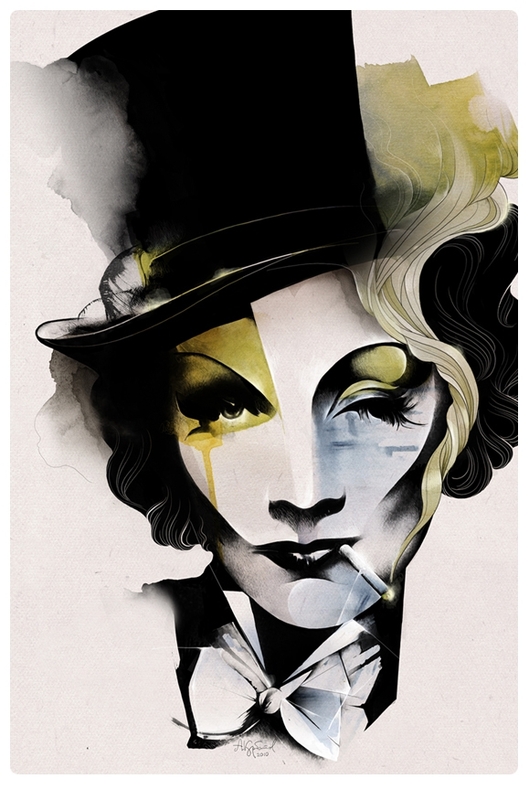 Marlene Dietrich looks up above the false walls erected around her and sees that her key light has burnt out. Too the south miles from Hollywood on a stage at RKO she stands at the top of the stairs all angles and Bryn Mar bearing looking down upon the great Barrymore. Her big break has happened on Broadway and she is about to make it even bigger in the movies. 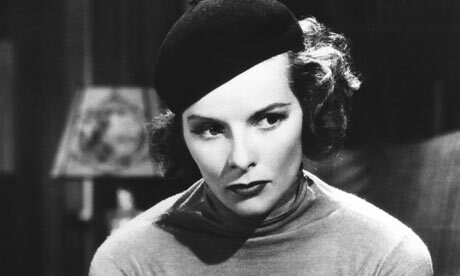 George Cukor calls for “action”, Katherine Hepburn’s star is about to be born. To the West on Washington Blvd. more stars have fallen from heaven to walk among the mortals at Metro-Goldwyn-Mayer than any other studio in town. A shop girl is trying to make good as a secretary in the lobby of a grand hotel: she has made herself over and will again and again. It has been a long road from Lucille Fay LeSueur to Joan Crawford and she made her own breaks to get here. There is still a long way to go. Across the sound-stage in a portable dressing room sits the Swede, the hated high heels kicked off she is waiting for her call to “action”. Perhaps she is the luckiest of all who came here to the edge of America. 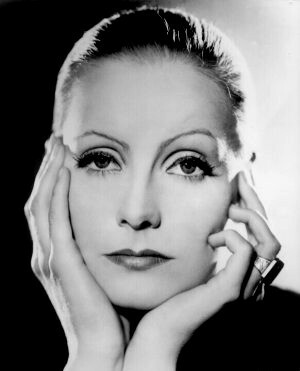 Great Garbo doesn’t seem to care about being a star and thus shines the brightest of them all because of it. If she really does care she is not letting on. All she will say is, she doesn’t want to be alone, just left alone. On stage 18 sitting in a rain barrel as if she is going to wash off the red dust of a rubber plantation, Jean Harlow laughs and jokes with Clark Gable. She is loved by the crew as just one of the boys. She rocks back and forth in the barrel sloshing water on Gable and the boys in the rafters look down from above and smile. This girl is a platinum bombshell of a shooting star made for the movies. She will leave the limelight way too soon. On the western edge of Beverly Hills at Fox the biggest break of all for the tiniest star in Hollywood is about to happen. She will be a symbol of hope to a nation and save the studio from going under singing of lollypops and good ships. But now, on this day in 1932 she is working on a one reeler spoof of “What Price Glory” called War Babies. Just a baby herself Shirley Temple is about to steal the show. They all would be in their time the diamonds of the golden age of Hollywood, the ones who got the breaks and made it big in this town that eats people alive in order to make flickering dreams for the masses. No rhinestones for these women. These ladies are the real jewels of 1932. When the police found Peg Entwistle lying smeared with blood and dust at the bottom of the big H at the foot of Hollwoodland sign she was wearing her fake diamond earrings. As broken and dead as her futile movie career she was a never was star that failed to ignite above the town she, like countless others had come to conquer. No big break ever came her way. It ended with her swan dive off the sign in the Hollywood hills that brought a merciful end to the belly flop that was her career and sad life. As Peg’s body was loaded into the back of an ambulance the morning sun ricocheted through the fractured facets of the rhinestone earrings. They still gave off a flicker of glitter as the doors to the ambulance closed. And the buses and the trains still came loaded with the dreamers that day in 1932. They never stopped and they never will. 1932 by Chanel was released in the Exclusifs line as homage to the year that Coco Chanel debut her diamond jewelry collection. Not a zircon or rhinestone was to be seen in that magnificent presentation of stones which Mademoiselle gave to the world in the worst year of the Great Depression. But we are not so lucky with the premiere of this new perfume. 1932 is not a star shimmering in diamonds from the silver screen. This is only paste in a beautiful setting, faux beauty made of mirrored glass and presented as glamour only to be outshone by the real stars that have come before from this house. No.5, Cristalle, No.19, Sycomore, Coromandel, Cuir de Russie are but a few of the true stars of Chanel. 1932 is something brought in from Central Casting, a day player, an extra that fades quickly into the scenery. At her very best she is a stand in for a star like No.19, a pale refection of the real thing. This Floral Woody Musk has all the right notes that have created great stars before. Aldehydes, bergamot, and Neroli open fast and then are gone. They have cleared the sound stage for the arrival of Jasmine, rose, ylang-ylang, lilac and carnation. This mid note arrangement is really dominated by the Jasmine, the ever familiar studio style of Chanel. Somehow none of these notes have the ability to present themselves in a mature manner. Then in the base it goes all wrong and too sweet with the notes of sandalwood, orris root, opopanax, iris, violet, incense and a heavy vanilla. Too much is going on! It is slathered with a strong vanilla that buries the vetiver and musk that might have helped to keep this from going to the prom instead of the red carpet premiere. 1932 is immature, a teen-aged powdery sweet fragrance that may find admirers in girls under the age of 21. At Les Exclusifs prices they are going to have to be teens with their own sit-coms filming on the Fox lot. 1932 is depressed and failing to deliver the dreams its publicity department promised. 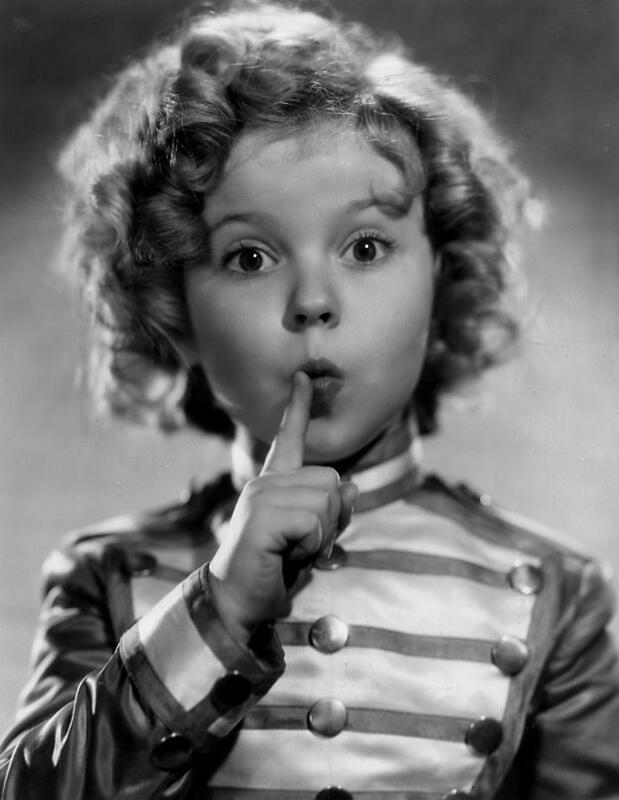 Not even a feature length presentation comes from this effort, like Shirley Temple’s early films, it is a short subject. In an hour it is gone and like so many never were stars 1932 ends up for me to be just another broken heart in the shadow of the great stars of Chanel. 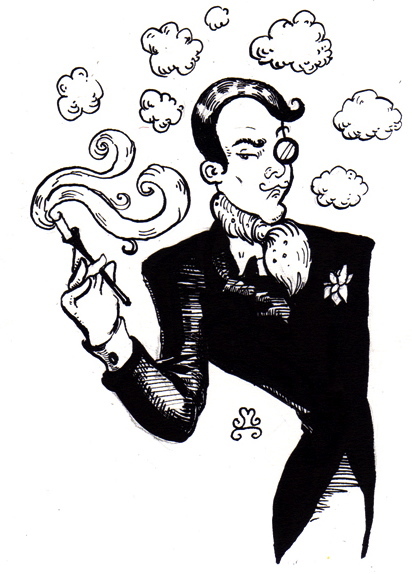 This sensational review of the less than spell-binding new release by Chanel was brought to you by The Perfumed Dandy‘s very dear friend Mr Lanier Smith of the truly impeccable blog Scents Memory. Oh and this weekend, you’ll find both our reviews there too, all with a different directorial touch!! Finally, for any of you that haven’t yet had the chance to catch it, Mr Smith has previously featured here in The Sunday Supplement Interview. 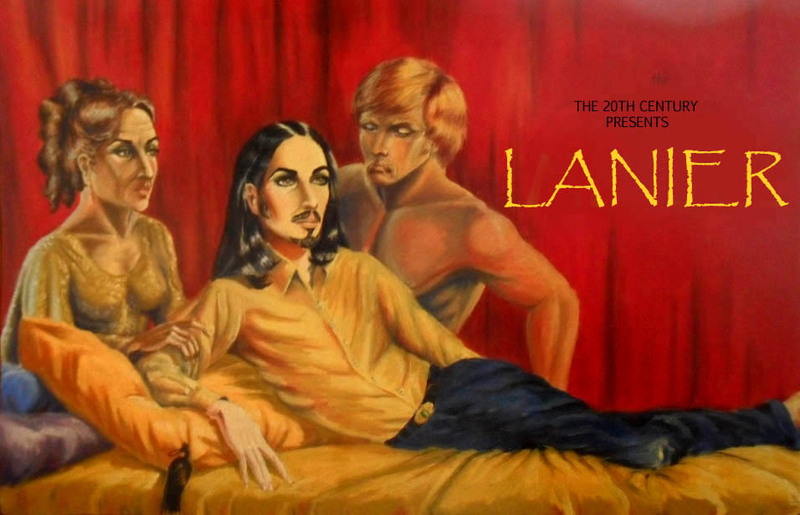 great read Lanier! and your review at Lanier’s place too! It WAS a great read! How sad, though: “bellyflop”. I haven’t sniffed it yet. I suppose I will at some point. I really enjoy the way you offer a swooping camera-pan view of all the real stars, ending on the dull sparkle of rhinestone! When I look in the eyes of those successful female stars I definitely see an indestructible diamond-like glitter that seems to say ‘I’m here, and I deserve to be’. I find the marketing techniques of Chanel and Guerlain quite fascinating – they’ve survived through shaky times with a range of marketing techniques, but going by your and The Perfumed Dandy’s impressions, it’s strange that they market this as an Exclusif. Really enjoyable reviews from Sir PD and yourself!